Experiment with multiple OS’s safely as the VM has no impact on the host machine. Can be customized for each course to run a different OS and software without risk of conflicts. 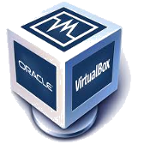 The Virtual Machines are all in VirtualBox .ova format (unless otherwise noted). They can usually be opened with other virtualization products (KVM, VMWare, Hyper-V, etc). The naming convention is the course code COMPXXXX of the course it was built for, followed by an optional term designation, such as -F18 for Fall 2018, which represents the term for which it was originally created. Many VMs continue to be used both for future terms, and for different courses. Consult with your Instructor to determine the exact VM you are expected to use for your course! NOTE: Most of our Virtual Machines use the VirtualBox Extension Pack, so please make sure you add it when you install VirtualBox (see the VirtualBox How-To Ubuntu guide above). WARNING 2: Microsoft Edge will NOT download these files properly. It will rename the .ova file to a .tar file. You will either need to rename it back to .ova or use another browser such as Chrome or Firefox to perform the download. NOTE: Our CURRENT Virtual Machines typically use the credentials username: student / password: student (unless otherwise noted). NOTE: Our OLDER Virtual Machines use a variety of credentials. Refer to credentials indicated below.